I've promised to make her a set of mechanical wings to go with the outfit for Steampunk outings. Might we see that at Whitby if you are there in April? Unfortunately not Whitby this year - my eldest has another engagement that weekend. However, we are toying with the idea of going to the Whitby Steampunk weekend at the end of July - we'll just need to see if it fits around the summer hols. As for the jetpack, I'd suggest making it nice and light with a quick release harness, so it can be whipped on and off quickly when sitting and then moving on. I'm sewing Teacup Holsters from a pattern I developed. 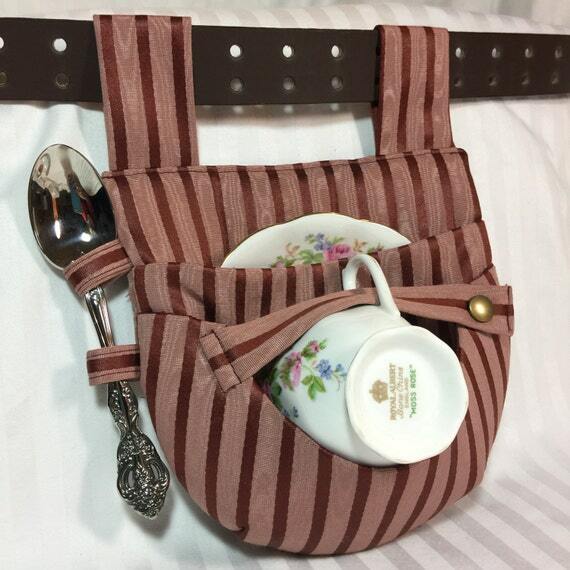 I've been sewing since small kid days, and quilting since the early 80's, so wanted a teacup holster that I could sew to match my outfits, instead of make from leather. Quite happy with how it turned out! May I say your creation is lovely and practical in equal measure. Nice china too! and now I am making it .... I don't know if I will get it finished as I want to do all sorts of twiddly bits on it, but if I don't I can always fall back on plan B. (Ah yes, just realised I don't actually have a plan B; perhaps I should be sewing not typing ......) Nah! Best of luck - whilst sewing can be a fun hobby, I know it can be an absolute nightmare when working against a deadline. I never liked sewing, especially machine sewing - my strength is sewing on buttons, and the occasional hemming fit (apart from embroidery, that is! ), so I gave my machine to a friend who loves to sew, but couldn't afford a decent machine. Now I'm happily not sewing, and she is happily sewing - win-win! Well done! If any pictures get posted up anywhere of it being worn next weekend (or maybe it gets filmed by the BBC again ) please let us know! By the way, how did the Whitby weekend go for you? It looked like there was some lovely weather for once. Oh yes - and with the change of date for the autumn WGW we can go up to it! Whitby was lovely, although it didn't seem quite as busy even taking into account that the spring event tends to be a bit quieter; we certainly had the weather, which definitely helps. Great that you can get to the autumn WGW, we are certainly planning to be there. Well, I'm trying to sew the flounce-backed skirt from Simplicity pattern 1558 using a satin fabric and so far I have just one word of advice to anyone thinking of using this pattern .... don't! Other words might include "no, really, don't" and "I warned you ...."
Slippery, fraying*, voluminous and awkward also spring to mind, with a final declaration of "never again!" Better get back to it I suppose, because if I don't it's going to end up in the 'never gonna finish it/wish I'd never started it' pile - the only reason it's not there yet is because it used 5 metres of fabric and I refuse to be defeated. 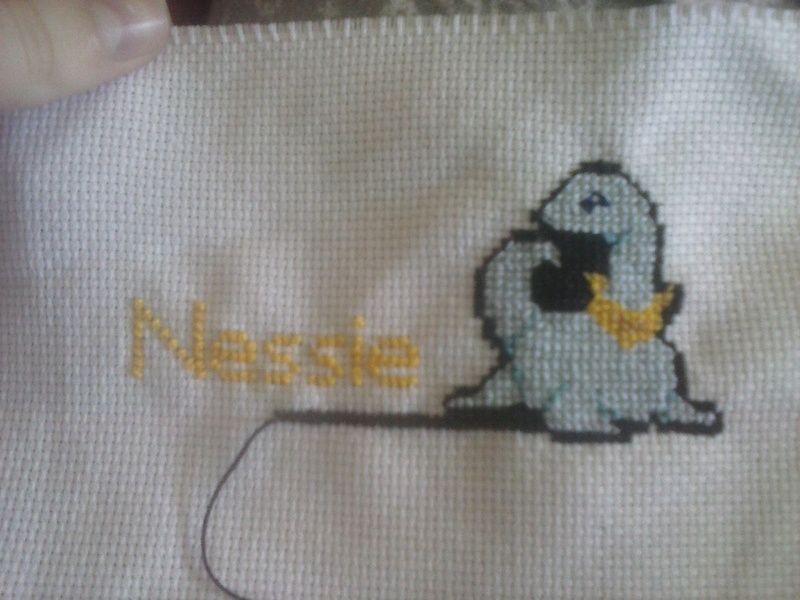 * even after I overstitched the edges. For a *hidden*cut edge and if you don't mind hard scratchy edges, a tiny drop of cyanoacrylate will stop runs in satin type fabric... The superglue will change the colour of the fabric and make the edge sharp to the skin, but it will stop fraying at the edge. I learned this from my cheap Cheongsam /Quipao shirt which sadly spends most of it's time in the closet, precisely because the synthetic fabric is extremely easy to fray and run as I imagine the fires whichever synthetic polymer they're made of, are even more slippery than Teflon. "Has anyone ever sewn a Mandarin style collar? I'm having to stitch some velvet over an existing (and very floppy structureless) cotton twill lapelled collar which I will trim and cover with said velvet... "
I have done a few... A double side of velvet might be a bit too bulky. If it isn't, you really only need to cut out a rectangle of velvet that will fit the full cut-out collar. If you cut the fabric as a straight rectangle, it should help to make the collar sit up properly. Machine sew it on one long edge to the outside, then fold it over the existing collar and hand stitch it on the inside. The front edge (the end of the velvet) will need to be carefully folded back inside itself and hand stitched. Small light hand stitches - don't pull too hard or the edges will be bumpy. If you still think it will be too floppy using just fabric, then you will need to use a stiffener on the inside of the fabric. You could use almost anything, from a piece of thin, stiff plastic (craft foam?) to 'proper' iron-on stiffener. There are different 'strengths' available at fabric shops. Don't use cardboard, as it will be a mess if you ever wash the jacket. Cut the stiffener so that it does not get folded. A couple of stitches in it will ensure it doesn't slip. I hope I have explained it well enough - with more than 40 years of sewing experience I can see how to do it clearly in my head - just hope you can see it clearly in yours! Thank you for the tips! There is a bit of extra room around the collar because the opening is large. With a double side of velvet it should be sufficient to keep it stiff. That would be 2 layers of stretch cotton twill plus two layers of velvet. I am really looking forward to the finished product! I'm satisfied in that first simple step. It was a bit more convoluted than I thought though, but it looks good. I was afraid the penny button covers would not hold in the wash, but I knew the buttons proper were very strong. Because of a small epoxy spill issue, I had to spot clean one of the pockets with paint thinner and wash the garment again. All the epoxied button covers held fast in the washer. I thought I would need to solder tiny screws into the penny covers to screw them into the existing buttons, but the epoxy is very strong. The soldered wire loops on the other buttons are extremely strong, so no worries there; its more likely the cloth will be ripped than the button fall off. Roughly half the buttons are just penny covers and the other half are full penny buttons - once mounted you can't tell the difference. I won't be able to do anything this weekend though. I have to pay my rent and being a part time worker I lose my pay for July 4th and two hours on Monday. No paycheck until Wednesday, so basically I have $30 left until Thursday Barely enough for food. I'm having other people sew things for me, does that count? I usually use the proper fray check liquid, which has the advantage of drying soft, but the sheer length of edges that needed doing would have taken so long that I went for overstitching on the machine as the faster option. (I think there was about 25 metres of 'edge' altogether). 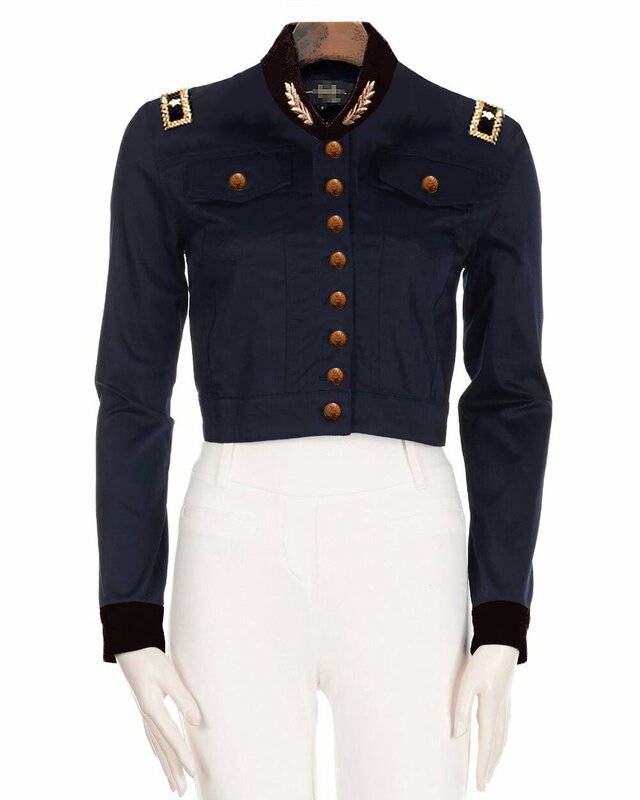 As for the mandarin collar, I'd include a layer of interfacing as the velvet might not be stiff enough and if it's too heavy then the weight of it may just pull the collar down rather than hold it up, particularly if there's not much structure in the fabric you're sewing onto. Your uniform is certainly coming along splendidly. For a *hidden*cut edge and if you don't mind hard scratchy edges, a tiny drop of cyanoacrylate will stop runs in satin type fabric... The superglue will change the colour of the fabric and make the edge sharp to the skin, but it will stop fraying at the edge. Thank you! Im happy how quickly the jacket coming together it's quite a uniform already with alternative shorts + leggins /kilt /over-pants, the white pleated blouse and neck tie, real Lederhosen harness with shield, boots, fatigue blouse, and wool cape overcoat all the layers you need for any climate and any occasion. I even have a navy blue umbrella! It's great to know that regardless of weather I can be in full character. Yeah, on the collar stiffener, I'm thinking that may be true. Because this is stretch cotton twill as opposed to true denim, there is no stiffness to it. I need to look at the velvet, but that is likely to be floppy too. One way to stiffen the fabric is to sew rows of stitches, like it is done on the visors of baseball caps (the ones that don't have the plastic stiffener), or cotton bucket caps. Given my lack of skills, I'd say that's is always a valid option. I'm thinking it could be easy enough to commission a pair of custom patches from an embroidery service such as those people who embroider t-shirts with company logos. I see those all the time. The employee buys a regular Oxford shirt, and a third party service embroiders the company logo on the shirt. Perhaps they could do the collar as well. I wonder if those leaf branches could be embroidered as well. That alone would lend stiffness to the collar. Everything is done by computer nowadays; it should be possible depending on the software used I just don't know how expensive it'd be. That is coming along so nicely, and the use of coins is a a stroke of genius. I was wondering about reinforcing the edge with ribbon, but at 25 metres that's a lot of ribbon. So how is the fight going? One consolation, once it is done I'm sure it will look stunning. Roughly half the buttons are just penny covers and the other half are full penny buttons - once mounted you can't tell the difference. Tomorrow is not a holiday however, just Tuesday; I only get to leave work 2 hrs early on Monday, so tomorrow I just spend on water bottles and bus fare. But after today I already have less than $20 for Tuesday and Wednesday (!) - I get my paycheck after banking hours, so I really can't leave home at all and I'm eating beef hamburgers I have in the freezer for the next 3 days.... and I may have to walk 5 miles round trip in 40 C weather on Wednesday not complaining, I like hamburgers, and I can easily walk that, but by Thursday I'm going to want to eat something else... It's terrible to be a part time worker. You get exploited to the max.